I covered the AA softball championships for the El Dorado News last weekend and unfortunately the team I covered lost. I still managed to get a few good images from the game despite the outcome… Reyes had it easy shooting the winning team! 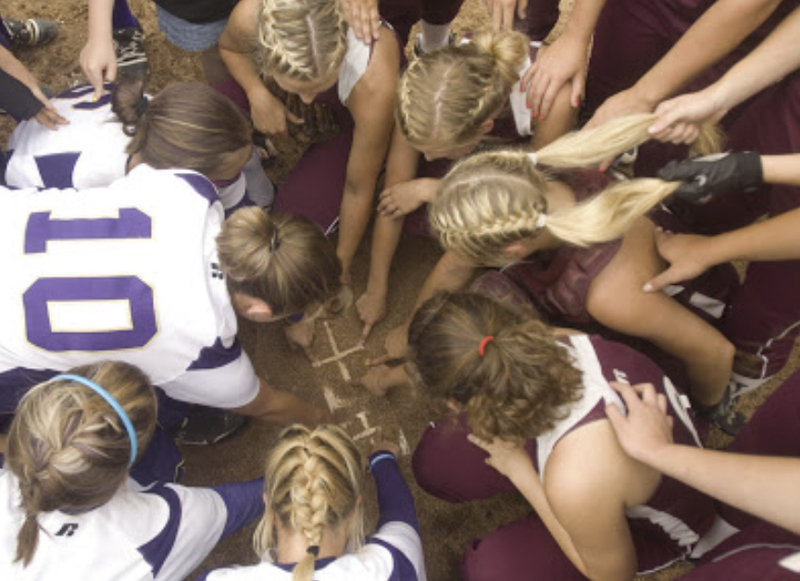 After the game, the girls from both teams gathered around the pitcher’s mound to say a prayer. The seniors from each team had their finger tips at the ends of the crosses. It was a neat ritual that made for a decent photo.